For years, eye care practitioners and researchers have been wondering the same thing. And there’s good news: A number of recent studies suggest it may indeed be possible to at least control myopia by slowing its progression during childhood and among teenagers. 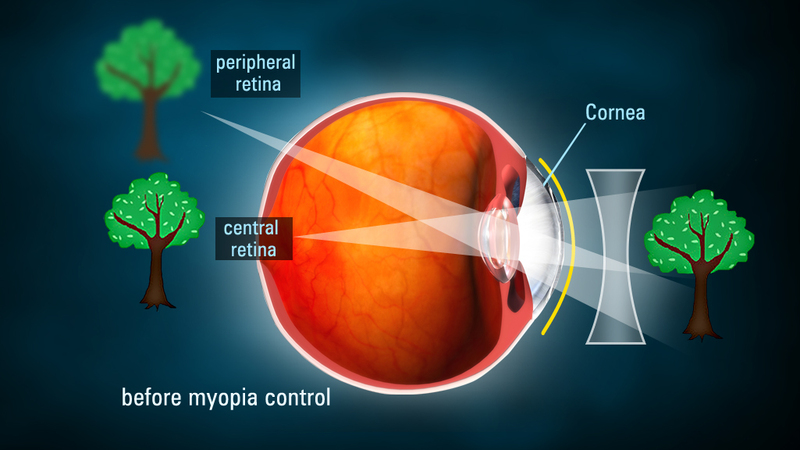 Although an outright cure for nearsightedness has not been discovered, your eye doctor can now offer a number of treatments that may be able to slow the progression of myopia. 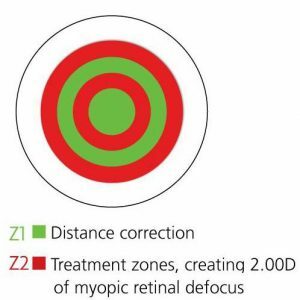 Why should you be interested in myopia control? Because slowing the progression of myopia may keep your child from developing high levels of nearsightedness that require thick, corrective eyeglasses and have been associated with serious eye problems later in life, such as early cataracts or even a detached retina. Atropine eye drops have been used for myopia control for many years, with effective short-term results. But use of these eye drops also has some drawbacks. Topical atropine is a medicine used to dilate the pupil and temporarily paralyze accommodation and completely relax the eyes’ focusing mechanism. A common use for atropine these days is to reduce eye pain associated with certain types of uveitis. Because research has suggested nearsightedness in children may be linked to focusing fatigue, investigators have looked into using atropine to disable the eye’s focusing mechanism to control myopia. And results of studies of atropine eye drops to control myopia progression have been impressive — at least for the first year of treatment. Four short-term studies published between 1989 and 2010 found atropine produced an average reduction of myopia progression of 81 percent among nearsighted children. However, additional research has shown that the myopia control effect from atropine does not continue after the first year of treatment, and that short-term use of atropine may not control nearsightedness significantly in the long run. Interestingly, one study found that when atropine drops were discontinued after two years of use for myopia control, children who were using drops with the lowest concentration of atropine (0.01 percent) had more sustained control of their nearsightedness than children who were treated with stronger atropine drops (0.1 percent or 0.5 percent). They also had less “rebound” myopia progression one year after treatment. Also, many eye doctors are reluctant to prescribe atropine for children because long-term effects of sustained use of the medication are unknown. Other drawbacks of atropine treatment include discomfort and light sensitivity from prolonged pupil dilation, blurred near vision, and the added expense of the child needing bifocals or progressive eyeglass lenses during treatment to be able to read clearly, since his or her near focusing ability is affected. Orthokeratology is the use of specially designed gas permeable contact lenses that are worn during sleep at night to temporarily correct nearsightedness and other vision problems so glasses and contact lenses aren’t needed during waking hours. But some eye doctors use “ortho-k” lenses to also control myopia progression in children. Evidence suggests nearsighted kids who undergo several years of orthokeratology may end up with less myopia as adults, compared with children who wear eyeglasses or regular contact lenses during the peak years for myopia progression. Many eye care practitioners refer to these lenses as “corneal reshaping lenses” or “corneal refractive therapy (CRT)” lenses rather than ortho-k lenses, though the lens designs may be similar. In 2011, researchers from Japan presented a study that evaluated the effect of ortho-k lenses on eyeball elongation in children, which is a factor associated with myopia progression. 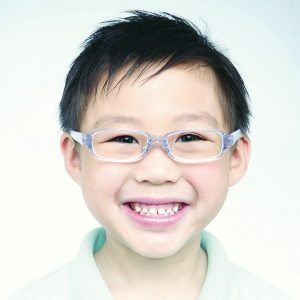 A total of 92 nearsighted children completed the two-year study: 42 wore overnight ortho-k lenses and 50 wore conventional eyeglasses during the day. 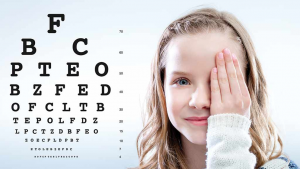 The average age of children participating in the research was about 12 years at the beginning of the study, and children in both groups had essentially the same amount of pre-existing myopia (-2.57 D) and the same axial (front-to-back) eyeball length (24.7 mm). At the end of the study, children in the eyeglasses group had a significantly greater increase in the mean axial length of their eyes than children who wore the ortho-k contact lenses. The study authors concluded that overnight orthokeratology suppressed elongation of the eyes of children in this study, suggesting ortho-k might slow the progression of myopia, compared with wearing eyeglasses. In 2012, the same researchers published the results of a similar five-year study of 43 nearsighted children that showed wearing ortho-k contact lenses overnight suppressed axial elongation of the eye, compared with wearing conventional eyeglasses for myopia correction. Also in 2012, researchers in Spain published study data that revealed children 6 to 12 years of age with -0.75 to -4.00 D of myopia who wore ortho-k contact lenses for two years had less myopia progression and reduced axial elongation of their eyes than similar children who wore eyeglasses for myopia correction. Kids do look cute in glasses! 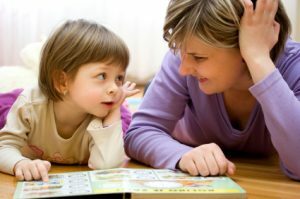 But with the proliferation of ortho-k and other myopia control techniques, fewer kids may need eyeglasses for myopia in the future. In October 2012, researchers in Hong Kong published yet another study of the effect of ortho-k contact lenses on controlling myopia progression in children. A total of 78 nearsighted children ages 6 to 10 years at the onset of the investigation completed the two-year study. Children who wore ortho-k lenses had a slower increase in axial length of their eyes by 43 percent, compared with kids who wore eyeglasses. Also, the younger children fitted with the corneal reshaping GP lenses had a greater reduction of myopia progression than the older children. Furthermore, as myopia control expert Jeffrey J. Walline, OD, PhD, from The Ohio State University College of Optometry pointed out in his analysis of the study published in the same issue of Investigative Ophthalmology & Visual Science, the benefit of slowed myopia progression from wearing the corneal reshaping lenses extended beyond the first year of myopia treatment. In March 2014, researchers in Taiwan published results of a study that compared the use of ortho-k contact lenses vs. atropine eye drops for the control of myopia in children ages 7 to 17. Participants had myopia ranging from -1.50 to -7.50 D (with up to -2.75 D of astigmatism) at the beginning of the three-year study period. The two myopia control treatments produced comparable results: children wearing the ortho-k lenses experienced myopia progression of -0.28 D per year, and those who wore eyeglasses and applied 0.125 percent atropine eye drops nightly had an average myopia progression of -0.34 D per year. Although this study did not include a control group that received no treatment to control myopia, the study authors mentioned that in similar studies the progression of nearsightedness among children wearing ortho-k lenses for myopia control was roughly half that of those who received no myopia control treatment over a two-year period. Multifocal Soft contact Lens are special lenses that have different powers in different zones of the lens to correct presbyopia as well as nearsightedness or farsightedness (with or without astigmatism). But researchers and eye doctors are finding that conventional or modified multifocal soft contact lenses also are effective tools for myopia control. In 2010, researchers from Australia, China and the United States presented data from a study of experimental myopia control contact lenses worn by Chinese schoolchildren for six months. The contacts had a special dual-focus multifocal design with full corrective power in the center of the lens and less power in the periphery. Participants were between the ages of 7 and 14 at the onset and had -0.75 to -3.50 diopters (D) of myopia, with no more than 0.50 D of astigmatism. A total of 65 children wore the experimental multifocal contacts, and 50 children wore eyeglasses. After six months, the children wearing the multifocal contact lenses had 54 percent less progression of their myopia than the children wearing eyeglasses. In June 2011, researchers in New Zealand reported on a comparison of an experimental multifocal soft contact lens and conventional soft lenses for myopia control in children. A total of 40 nearsighted children ages 11 to 14 participated in the study. The children wore the multifocal contact lens on one randomly assigned eye and a conventional soft contact lens on the fellow eye for 10 months, then switched the lenses to the opposite eye for another 10 months. In 70 percent of the children, myopia progression was reduced by 30 percent or more in the eye wearing the experimental multifocal contact lens in both 10-month periods of the study. Multifocal eyeglasses also have been tested for myopia control in children, but results have been less impressive than those produced with multifocal contacts. 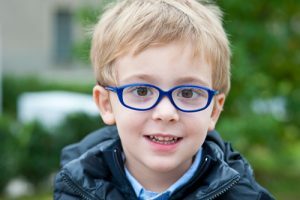 A number of studies published between 2000 and 2011 found that wearing multifocal eyeglasses does not provide a significant reduction in progressive myopia for most children. The Correction of Myopia Evaluation Trial (COMET), a study published in 2003, found that progressive eyeglass lenses, compared with regular single vision lenses, did slow myopia progression in children by a small but statistically significant amount during the first year. But the effect wasn’t significant in the next two years of the study. But in March 2014, researchers in Australia and China published the results of a three-year clinical trial that evaluated the progression of nearsightedness among 128 myopic children ages 8 to 13 years. All participants had experienced at least -0.50 D of myopia progression the year preceding the start of the study. One group of children wore conventional single vision eyeglasses, a second group wore bifocals, and a third group wore bifocal lenses with prism. After three years, children who wore either type of bifocal eyeglasses had significantly less mean progression of nearsightedness (-1.01 D to -1.25 D) than children who wore single vision lenses (-2.06 D).